Police said the SUV hit two girls, then crashed into parked cars. 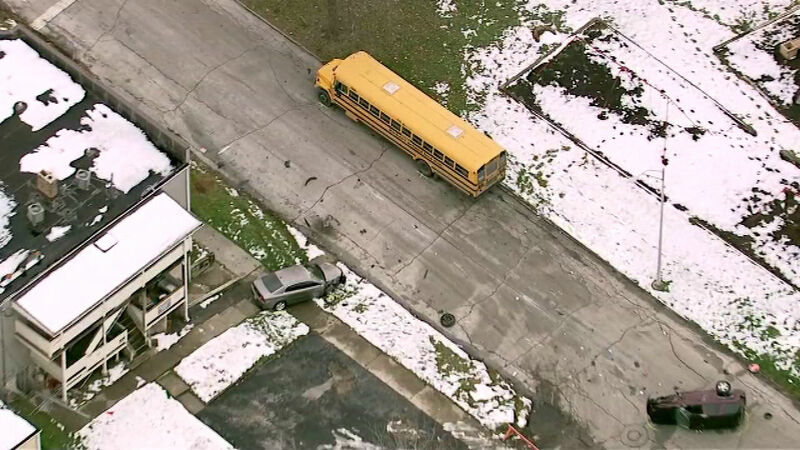 CHICAGO HEIGHTS, Ill. (WLS) -- Police in Chicago Heights have a man in custody for allegedly driving on a sidewalk and hitting two girls. 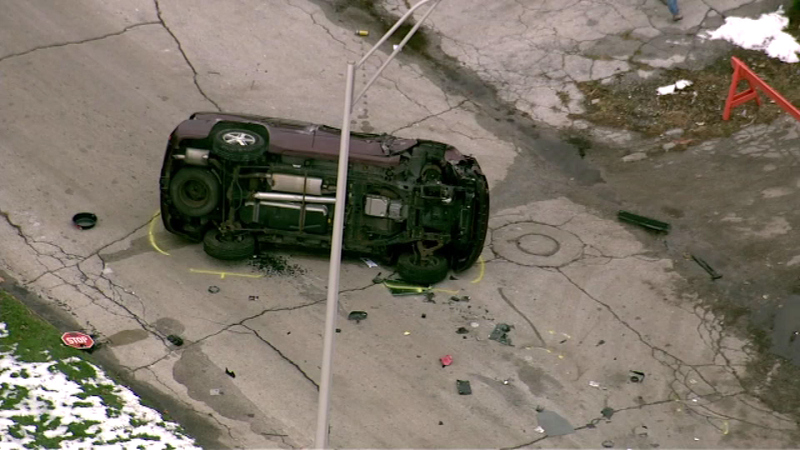 Police say a driver struck two girls walking on a sidewalk, then crashed into parked cars in Chicago Heights on Wednesday, Nov. 25, 2015. Two vehicles were damaged: an SUV that rolled onto its side, and a car on the sidewalk. Police said the SUV hit two girls, then crashed into parked cars. The girls were rushed to a hospital. There's no word on their injuries.